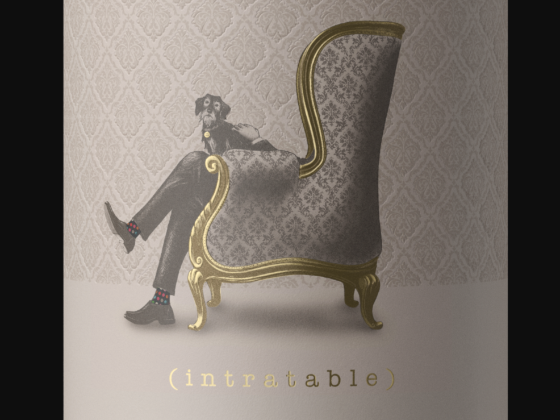 "Intratable" means "unmanageable" in Spanish. 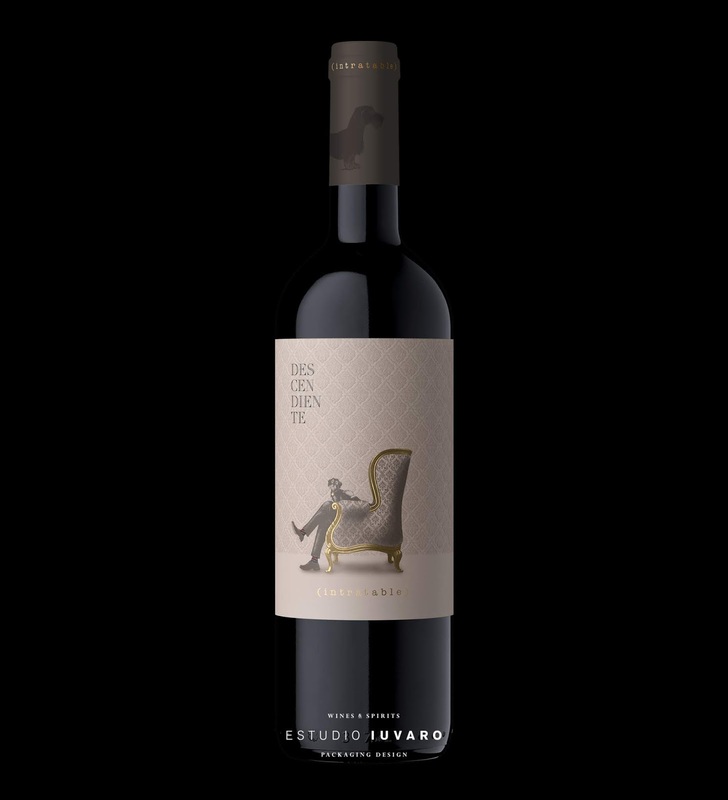 The spirit of this wine is the one of a demanding, inflexible and passionate person, he is the guardian of the family traditions. 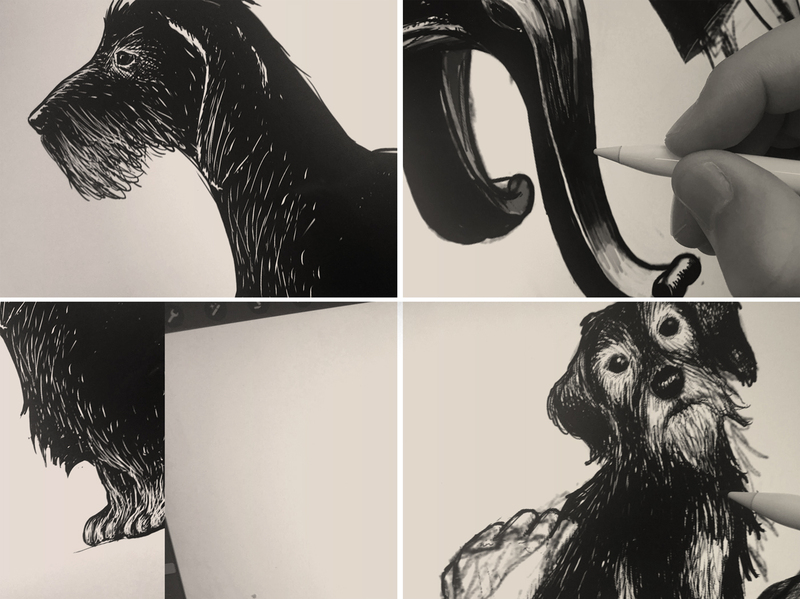 We communicate his personality through a detailed illustration of a man in his vintage elegant chair, petting his dog, wearing colorful eccentric socks. 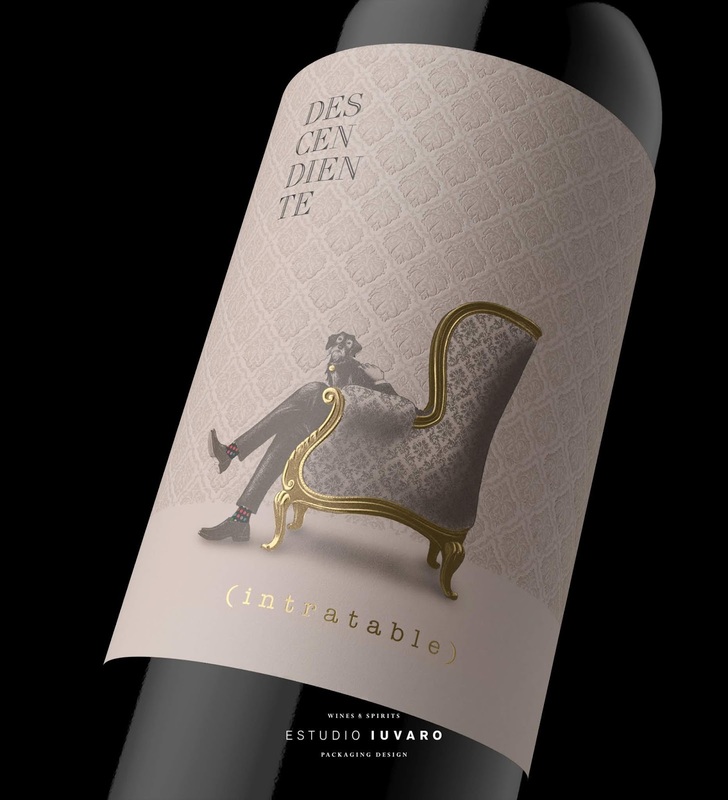 The paper used on this label is the Cotone Bianco of Arconvert, which let us use a debossing texture for the background and embossed details for the chair.